Suffers from taking itself way too seriously, and a way-too-late twist. What could have wound up Shyamalan's masterpiece suffers from his own worst tendencies. Made for fans of 'Unbreakable' and 'Split,' even if we may be mighty displeased by the end. This may tell you all you need to know about M. Night Shyamalan’s Glass: I’m as conflicted about it as The Dark Tower. On one hand, Shyamalan manages to close a (nearly) fully grounded comic book movie. On the other hand, it’s a showreel for everything he’s known to do so wrong. What starts off as the thrilling trilogy capper that began 19 years ago with Unbreakable — the movie Disney ironically wouldn’t let him promote as the superhero movie it is — shows signs of trouble with Samuel L. Jackson slipping out of character. It’s all downhill from there. Picking up three weeks after Split, we catch up with David Dunn (Bruce Willis) running his own home security company with his son Joseph (Spencer Treat Clark). David is on the hunt for Kevin Wendall Crumb (James McAvoy) who has taken a group of high school cheerleaders hostage to feed to “The Beast.” After a brutal showdown between David and The Beast, they are found out by Dr. Ellie Staple (Sarah Paulson) and quickly swept away to the west wing of Raven Hill Memorial. Here, Dr. Staple has them in her grasp to try to discount their superheroics, but just wouldn’t you know it, Elijah Price/Mr. Glass (Jackson) is on hand as well. It doesn’t take long before the chickens are out of the henhouse with Mr. Glass setting into motion an exposé to finally prove to the world superheroes exist. There’s really not a whole lot of story happening in Glass. The synopsis nearly gives away the entire film. While Shyamalan does sneak in his trademark Shyamalamadingdong surprise ending, it’s a huge cheat adding insult to injury as the film plows through its horribly executed climax. With Split, myself and few other colleagues tried to make a play to score McAvoy a Best Actor nomination with the Utah Film Critics Association. But here, McAvoy is clearly given more freedom to adlib with Kevin’s multiple personalities — at least they throw in some new ones — but it all feels like a spoof of his own performance. Willis is barely given anything to do besides stand around and wait for David to fight someone or knock down a steel door or two. It’s disheartening considering his character was the one who started the whole Unbreakable universe. Jackson turns Price into a joke of a character. 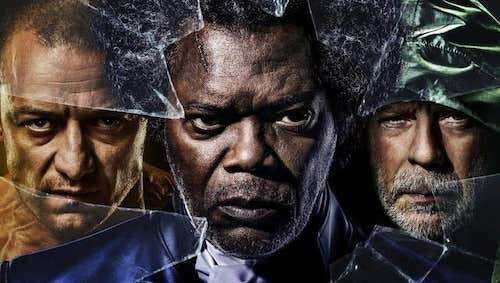 He’s no longer playing the broken man Mr. Glass used to be and turns him into Samuel L. Jackson. Nick Fury is more of an actual character than Price is by the end of the film. And when Jackson isn’t going in and out of character he’s playing Mr. Exposition. Paulson gives one of her worst performances, even slipping in and out of a lisp. And sadly, Anya Taylor-Joy is completely wasted with Shyamalan dismissing a huge opportunity to let the film get a little bonkers after all the groundwork he laid for her in Split. The first hour and 45 minutes are everything fans want. Unfortunately, after 19 years, it’s clear Shyamalan could never come up with a satisfying ending for the audience, or himself. While he may manage to do something pretty big, he wastes the impact with the film dragging itself out to the last big twist. It doesn’t help he spends a lot of time using his characters to do movie things. The worst offender is David being forced to touch another character during the finale just so he can have a vision to fill the audience in on just what the hell is going on. Shyamalan has already stated in interviews that this is the last he’ll see of the Unbreakable trilogy and good thing. While he manages to set up the trilogy to go out with a bang, it ends on a very disappointing whimper.